KAECPA. has extensive experience in accounting and taxation. For many of our clients we are a one-stop shop that handles all of their accounting tasks. We offer a full range of services related to analysis and reporting, providing our clients with the informatin they need to make effective decisions about their business. We prepare returns for sole proprietors, partnerships, s corporations, and c corporations. We also have experience preparing returns for other states and multistate tax returns. Our service doesn’t stop there. We provide extensive tax planning to help you maximize tax benefits and minimize liabilities. When a client says that they want to pay the lowest amount of tax possible. We ask “do you want to pay the lowest amount of tax this year or over the course of your business?” We ask questions and obtain an understanding of your business. What are your business goals? What is your business plan? We monitor the changes in the tax laws. We ask questions and monitor your business throughout the year so that we can provide proactive tax planning. We can also help by preparing responses to notices from the taxing authorities and defending audits. Audits don’t happen often, but when they do is best to have a competent representative who understands the tax law and understands how your return was prepared. Keith Early has more that twenty-five years of accounting experience. He has advised clients in all sized and industries from startup companies to the Fortune 100. Keith has specific experience in Federal taxation, state taxation, business analysis, and financial reporting. 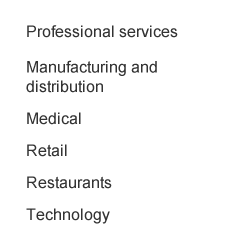 Industries that Keith has worked with include: professional services, retail, manufacturing, distribution, medical and technology. Keith is active in the Georgia Society of CPAs and the Federal and State Tax Task Force (formerly the Taxation Section) Keith served as the chairman of the Tax Section for two years. The Tax Section received the Distinguished Section Award under his leadership. Keith also served on the Georgia Department of Revenue Commissioner’s Advisory Committee. Keith represented the Georgia Society of CPAs at the AICPA National Tax Conference from 2010 thru 2013. He began his career as an Auditor for the Florida Department of Revenue where he audited taxpayers for compliance with the sales and use tax and corporate income tax laws of the state of Florida. While there he received a statewide TOPS today’s outstanding person award. Keith then worked for KPMG LLP and Arthur Andersen LLP as a tax consultant. He also worked for Compton and Associates LLP, a national state and local tax consulting firm. Most recently Keith worked for a local CPA firm where he provided tax and accounting services to individual and business clients. Keith A. Early has a Bachelor of Arts degree in Accounting from the University of West Florida as well as a Master of Acoountancy from the University of West Florida with a concentration in Taxation.